Those are some dope threads you got there, Son. That’s just too cute for words. You know your parents love you when they hook you up with a sweet Adidas jumpsuit that they know you will outgrown in a few months. 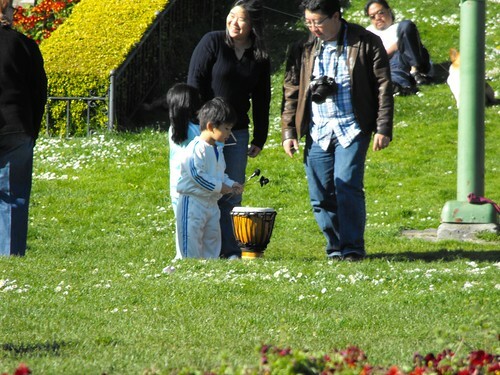 I think this kid just became my new favorite drummer in the park.